Looking for a room with a balcony in Hungary? Or a hammock in Laos? 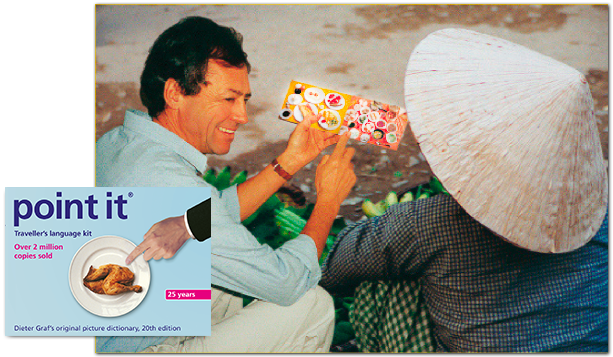 Nobody understands you - that's where picture dictionary point it® can help This passport-sized book offers about 1,300 photographed items to point at. Allowing you to be understood anywhere in the world. Without words and waving about. 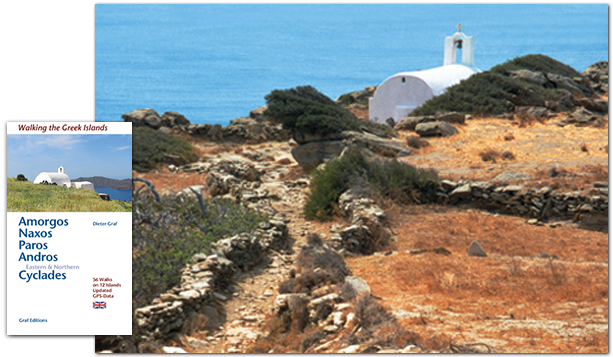 This series offers more than 220 walking trails on the Aegean Islands. The six volumes describe 46 islands of the Cyclades and the Dodecanese. With detailed maps, exact times, GPS-points and photos of outstanding places for better orientation. Available in English and German, one edition in French, respectively in Dutch.